Hoosier business leaders can discuss public policy with their congressional members during the Indiana Chamber of Commerce’s annual D.C. Fly-in event on September 27-28. The Washington gathering offers the opportunity for business leaders to meet with members of Indiana’s congressional delegation and let the lawmakers know how policies and bills being debated on the national stage will impact the state’s economy back home. A highlight of the agenda: Sens. Joe Donnelly and Todd Young will lead a policy discussion following a dinner on the event’s opening night. Day two includes a breakfast program that will feature Marc Lotter, special assistant to the President and press secretary to Vice President Mike Pence. Lotter is a native Hoosier with decades of experience in Indiana politics and was also Pence’s press secretary through the 2016 campaign and transition. Group visits to congressional offices will take place after the morning program. Zimmer Biomet is the dinner sponsor. Allegion is the cocktail reception sponsor. Build Indiana Council is the Legislative Briefing Sponsor. “Zimmer Biomet is proud to be a long-time sponsor of the Indiana Chamber’s D.C. Fly-in. This is a unique opportunity to interact with members and staff of the Indiana Congressional delegation. There is no better way to discuss a wide range of policy issues affecting the Hoosier business community and to see firsthand what is happening on Capitol Hill,” says Chris Cerone, vice president of global government affairs for Zimmer Biomet of Warsaw. Register for the D.C. Fly-in online or by calling customer service at (800) 824-6885. Cost is $199 per person, with group discounts available. Each attendee is responsible for securing travel arrangements. Discounted hotel rooms are available for Indiana Chamber Fly-in guests at the Hyatt Regency Washington on Capitol Hill. Indiana Chamber members go to Washington each September to discuss key policy issues with the Indiana congressional delegation. In 2016, a little politics might be worked into those conversations. Either way, it’s your opportunity to make an impact. The event is the annual D.C. Fly-In on September 14-15. It features a roundtable discussion with Indiana’s congressional delegation on the opening night. Day two includes a panel of national and state issue experts, followed by group visits to congressional offices. Expect to learn more and advocate on key issues such as transportation, trade, immigration and the Every Student Succeeds Act. Register today for the D.C. Fly-In online or by calling customer service at (800) 824-6885. Cost is $149 per person, with group discounts available. Each attendee is responsible for securing travel arrangements. 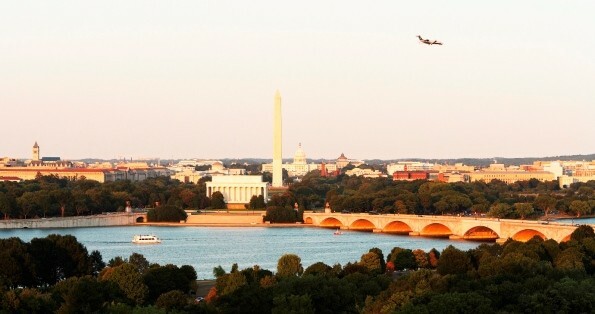 Discounted hotel rooms are available for Chamber Fly-in guests at the Hyatt Regency Washington on Capitol Hill. Zimmer Biomet is the dinner sponsor. The breakfast program sponsor is Allegion PLC. The hospitality sponsor is Build Indiana Council. Event sponsors: The Boeing Company, Duke Energy, Hartman Global IP Law, The Kroger Co., Old National Bank and Wabash Valley Power. Additional sponsorship opportunities are available by contacting Jim Wagner at (317) 264-6876. Indy Eleven Hosting Craft Brew Night at Aug. 23 Match; Get Your Tickets Now! 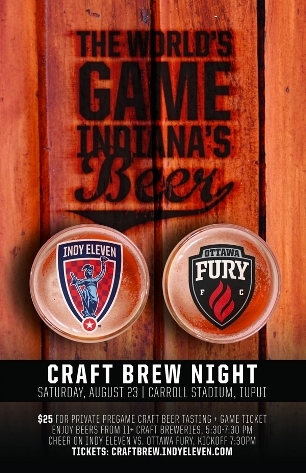 Indy Eleven will host “Craft Brew Night” (presented by Kroger) on Saturday, Aug. 23 at Carroll Stadium 5:30 – 7:30 p.m. prior to the match vs. Ottawa Fury FC. A highlight of the evening’s festivities will include Flat 12 Bierwerks’ unveiling of the name and logo for their new English Pale Ale, created in honor of Indy Eleven and the team’s independent supporters group, the Brickyard Battalion. Fans are encouraged to visit Flat 12 Bierwerks’ blog to see the five name and logo pairings for this delicious new addition to the Indy Eleven corporate partner’s stable of beers. A limited number of tickets will be available for this Craft Brew Night event, so fans interested in securing their spots can go online to purchase their $25 game/tasting ticket combo pack or $11 Craft Brew tasting event passes or call (317) 685-1100 during regular business hours (Monday-Friday, 9 a.m. – 5 p.m.). Fans should also be on the lookout for contest offerings surrounding Craft Brew Night on Indy Eleven’s Facebook, Twitter and Instagram channels and Reddit throughout this week, including free ticket packages and Indy Eleven merchandise. 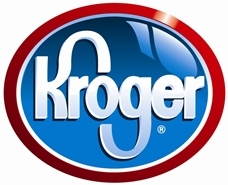 The Kroger Co. celebrates the 130th anniversary of the company’s founding today. On July 1, 1883, a young, hard-working German immigrant named Bernard “Barney” Kroger opened his first store in Cincinnati, Ohio. In this 130th year, Kroger is poised to pass $100 billion in annual sales, provides employment to more than 343,000 associates, is one of the largest retail companies in the world, announced an industry-leading 37 consecutive fiscal quarters of positive identical sales growth and has been named the most generous company in America. A new strategy beginning in 2013 that will: strongly invest in existing stores, introduce a variety of new store formats, expand market share in existing markets and take Kroger into new markets across the United States. Now comes word of an effort in which Cincinnati-based Kroger and Procter & Gamble will team together with Kroger donating a substantial dollar amount to the USO of Indiana. Shoppers can get in on the opportunity to thank U.S. soldiers for their service by virtually "shaking the hand of a hero." 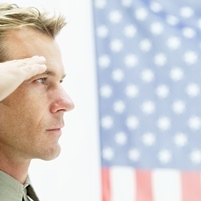 The details are at the Honoring Our Heroes web site. Indiana is fortunate that Kroger (and many other companies) continue to give back and help make our local communities stronger. It all began in 1863. John C. Groub, a young Swiss immigrant, made his way to Seymour, Indiana. He sold matches to pay his way from Louisville, Kentucky to Rockford, Indiana. In 1863, John C. Groub opened his first store in a building on South Chestnut Street. The front portion was a grocery store; the back was used for living quarters. The business grew and Mr. Groub secured a downtown location on West Second Street in 1871. Deliveries by truck started about 1919, and satellite warehouses were established in Mitchell and Connersville. As the number of stores increased, so did the need for more warehouse space, and in 1938 a new two-story warehouse, one-half block in size, was built at the south end of Ewing Street. In the late 1950s, the Jay C leadership made a commitment to teamwork when it made the promise, “As the Company Progresses, So Shall Its People.” At the same time, a cash profit sharing plan was inaugurated. As a result of this team effort, profit sharing has been paid every year since its inception. A new name, and a new kind of store operation became a part of the company during the 1980s-90s. Four Foods Plus Stores were opened in Bedford, Madison, Columbus, and Seymour. The concept of these stores involved giving customers a role in creating savings for themselves by bagging their own groceries and taking them to the car. By the end of the 1990s, Jay C consisted of 25 Jay C Stores, 4 Foods Plus Stores, and 2 Ruler Discount Foods Stores. In August,1999 the John C. Groub Company merged with the Kroger Company, the largest grocery retailer in the United States. The company has prospered as an independent division of the Kroger Company, retaining its name, people, traditions, values, leadership, and products. Congrats to Jay C, an Indiana Chamber member, for so many years of success — and thanks for showing other Indiana businesses what can be accomplished with determination and forward thinking.